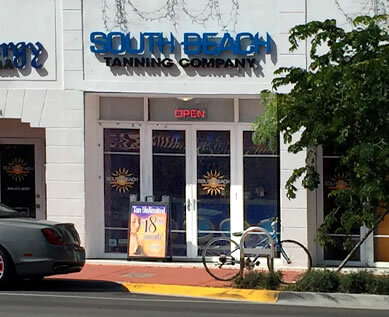 The South Beach Tanning salon is located at the corner of 8th Avenue and Alton Road, in the heart of South Beach. Just minutes from either Lincoln Road or the beaches and resorts. Whether just visiting or a local resident stop in where the celebrities go when they are in town for your choice of multiple levels of state of the art tanning and sunless equipment.